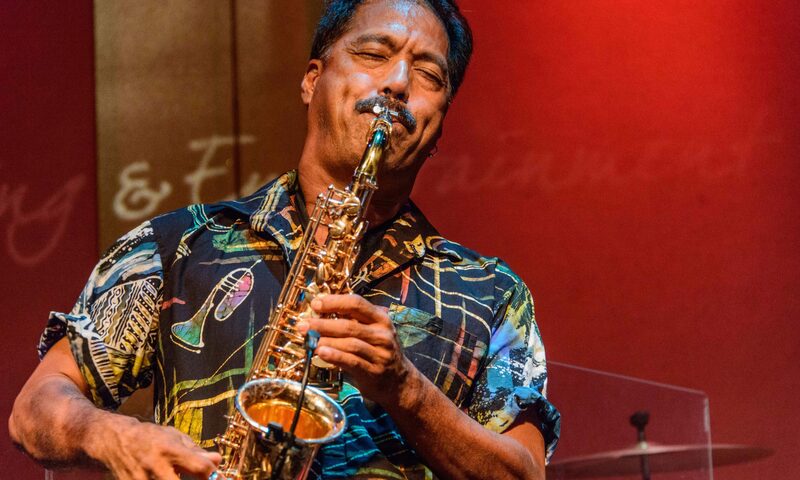 One of the most versatile and cosmopolitan saxophonists in pop, soul and contemporary jazz for nearly 35 years, Michael Paulo has added his distinct saxpertise to a virtual who’s who of artists, including Al Jarreau (Paulo’s longest term touring association), James Ingram, No. 1 Smooth Jazz Trumpeter and guitarist Rick Braun and Peter White, Oleta Adams, Kenny Loggins, Patti Austin, Jeffrey Osborne, Jeff Lorber, David Benoit, Carl Anderson, Bobby Caldwell, Johnny Mathis and more. Paulo grew up in a musical family (his father a pianist, his mother a singer, his siblings all playing instruments) and though he came upon the sax relatively late at age 15, he quickly became first horn player in his high school band and was playing professional gigs around the islands within a few years. Rather than accept a scholarship to North Texas State, he chose a more adventurous road by joining Hawaiian pop/rock band Kalapana, which had some success on the mainland but was most popular in Japan. After playing regularly and recording on all four of Kalapana’s albums from 1975 through 1979, Paulo recorded a solo album for Japanese release on Trio records. 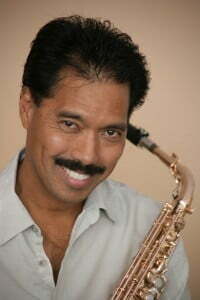 In addition to exposing him to the Japanese jazz audience, Tats in the Rainbow gave him the opportunity to work with legendary pianist Herbie Hancock. which was critically accliamed as one of the most influential recordings in contemporary Jazz. He has since released nine solo projects with the latest entitled “Songs” a compilation of his compositions over the years and featuring two new tracks.